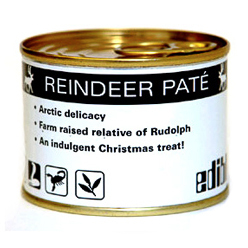 Reindeer pate would be the perfect addition to a Christmas celebration. This can of pate was picked up at Fortnum & Mason in London. It really does look like dog food, but it has a slight gamey, rich, meaty flavor, enhanced by the cognac that its prepared with. Try new things -- you never know what you'll experience. The company that produces this particular pate is Edible. Tickle My Pig in East Stroudsburg, PA -- order the Messy Bessy with pulled pork, beef brisket, coleslaw, pickled, spicy BBQ sauce. Sitting on the dock of the lake - Lake Cayuga. A & W Root Beer Drive-In in Cortland, NY -- order the root beer float (of course), the bacon cheeseburger, and the chili-cheese hot dog. Fall Creek -- Ithaca is Gorges after all. Visit the Ithaca Beer company off Elmira Road, take the small tour, but more importantly try sample of their beers on tap (including the excellent root beer) and pick up a growler of your favorite. Hitting The Palms before it possibly closes is a must. 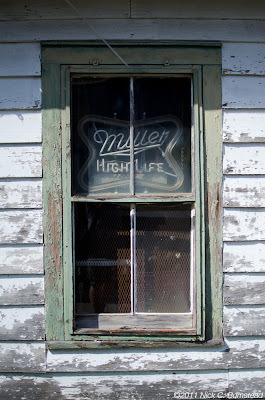 More of the Royal Palm Tavern - old school Cornell college town. If you are passing through Scranton, PA and looking for a touch of the old school -- stop in for lunch at Coney Island Lunch. Order a Texas Wiener and a Texas Cheeseburger. You heart might complain, but they taste great. Whole hog delivery to Martin's via fork lift. Next to the bridge and a school. Antique English Marrow Spoons @ Lucullus - they ain't cheap though. Warehouse District - some real great stuff going on in this part of town. Little Debbie Snack Cakes - found in the Warehouse District. Outside of Lafayette Cemetery # 1. Flowers in Lafayette Cemetery # 1. Neophobia: a fun selection of mid-century furniture and other bits and bobs. Fried Rabbit Livers @ Cochon - everything on that menu is worth trying. 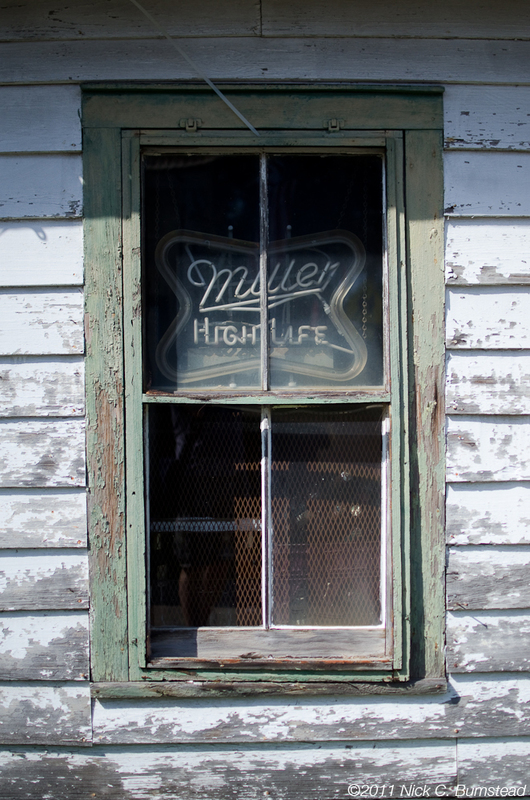 Also try their moonshine. A local classic - Hubigs. Fried catfish po-boy @ Guy's - along with a Barq's rootbeer, another classic. Best po-boy in New Orleans? Mahoney's. Get the fried chicken liver with creole slaw (above) or the grilled shrimp with fried green tomatoes and remoulade (below). Chef Ben Wicks worked for just about all big chefs in town (Adolfo Garcia, John Besh....). You'll see his grandmother bringing out trays of po-boys. Don't question, just go. The fried chicken liver and creole slaw po-boy. Cochon 555 - the pig head from the butchery demonstration. Coquette is really killing it in New Orleans. A good cocktail and wine list selection (we ordered the De Moor Aligote). And a really great food menu. Focused on doing justice to the quality of product they use. After too much local food, time for a pizza. Popped into John Besh's Domenica after having a Sazerac in the Sazerac Room in the Roosevelt Hotel. The white anchovy pizza was pretty great. Another local classic: Cafe Du Monde. You've go to love a place that does one thing and does it well: beignets. Yep, it's touristy. Yep, it'll be crowded. But they are worth it. Stick your head into the indoor dining room / kitchen area and watch the line of wait staff picking up beignets and coffee. Leidenheimer is the got-to bakery for the French bread used for po-boys. A take on a classic, that has become a classic - the Frenchuletta at Liuzza's. Also get an Abita Amber in the large frozen glass. If you have room left, and you probably won't, but you should. Walk over to Brocato's for gelato or cannelloni. It's old school Italian ice-cream and pastries.